I will admit right up front: thus far, I am not a fan of Tiffany Haddish. I don’t really get how some critics consider her the next big thing in comedy and so far, haven’t liked her in Girls Trip or Night School, though in fairness, she was saddled with some terrible material at least in the latter. Her latest comedy conquest pairs her up with Tyler Perry, a solid actor for sure especially when he’s not dressed in drag (really liked him in Gone Girl), but his filmmaking skills have not impressed in the few movies I’ve seen of his (I have yet to watch any of the Madea movies). This film focuses on Danica (TIKA SUMPTER) whose professional life is going well while the personal side isn’t going as smoothly having been dumped while being prepared to get married and her current boyfriend is someone she has only talked to on the phone but never seen him. And just when she and her team are prepping to land a lucrative contract, which would lead to Danica getting a promotion, her sassy and loud sister, Tanya (TIFFANY HADDISH) is released from prison. However, their mother (WHOOPI GOLDBERG) won’t have her, so Danica is guilted into letting her sister move in. The movie has several plots going on from Danica and her workplace, possibly being catfished (with a Nev and Max cameo, which is already dated since Max has left the show) and an on-again-off-again relationship with the coffee house owner (OMARI HARDWICK) next to her work. Not really much else to this movie other than Tiffany Haddish yells a lot; “girl” is uttered so many times I would not suggest doing a drinking game, you will die of alcohol poisoning; and does include the rom-com tropes a few times over. Honestly, I think this would’ve made for a average, if not forgettable, romantic-drama if Haddish and the whole catfish element were cut out. At the very least I did kind of like Tika Sumpter, even when her character was at times utter cringe, though her chemistry with Omari Hardwick wasn’t half bad, same you had Haddish interrupting any character build-up and/or a convoluted plot elements to keep them a part, even beyond the typical crap you seen in the genre. 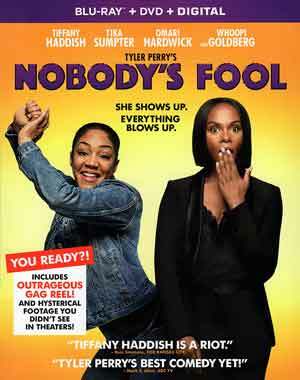 Nobody’s Fool is another poorly scripted dramedy from Perry, one which has Tiffany Haddish playing an utterly obnoxious, unfunny character sucking out all of the energy from the room where potential comedy, or even riveting drama, may be trying to shine through. Haddish is a lot like Melissa McCarthy and, to some extent, Zach Galifianakis, where they – or more to the point the director – won’t let the scene breath. On the technical front, Tyler Perry I guess sets up the camera well enough though his usage of rear projection for some fairly lengthy – and dialogue heavy – car scenes was either distracting or pretty laughable. Apparently he could not afford to rent a trailer rig to film these scenes… though also makes sense when I found out the film was shot in only 10 days. This release comes with a semi-glossy slip cover and inside, along with the DVD Copy, is a redemption code for the Digital HD copy. All features are in HD. Introduction by Tyler Perry and Tiffany Haddish (0:14) – This is a short intro for the bonus material. Deleted/Extended/Alternate Scenes (23:16) – There are 12 scenes altogether (3 deleted, 8 alternate and 1 extended) and thank goodness, closing in on two hours for any comedy is too much. Gag Reel (2:00) – Surprising this was only 2-minutes. 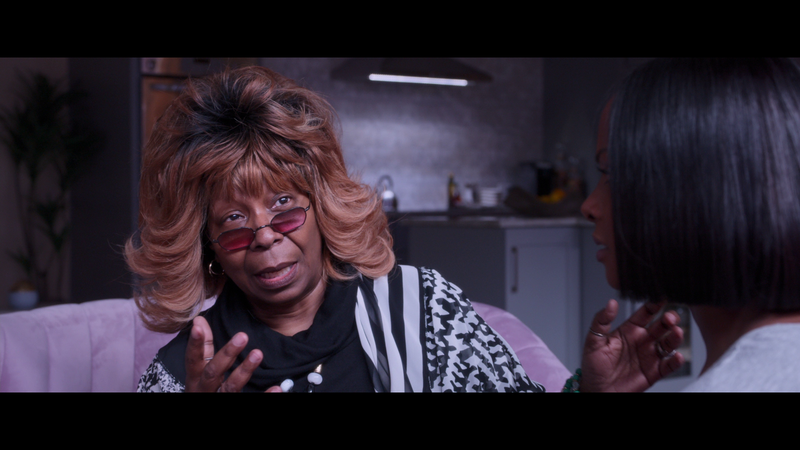 The Legend and the Star (4:27) is on Whoopi Goldberg and her motherly character. 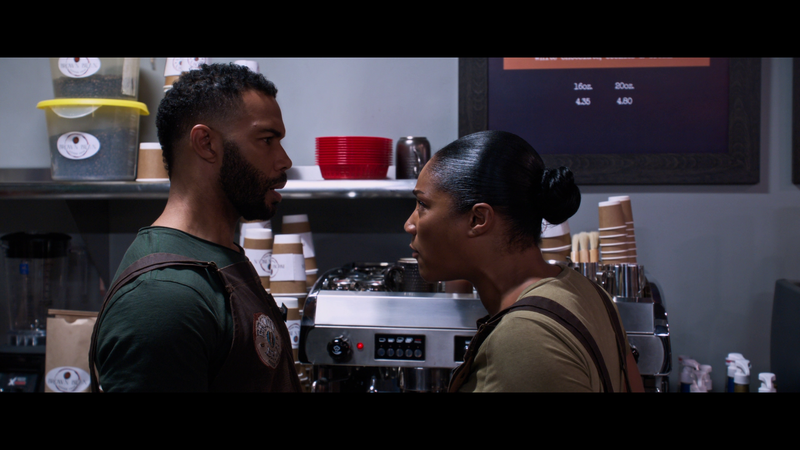 Mocha Latte Extra Laughs (4:05) is a featurette on Omari Hardwick and his character. I’m Just Trusting Tyler Perry (4:48) – Big mistake. But seriously, this looks at the cameo appearance from Chris Rock, which originally Perry was going to play, and some of the ad-libs. She Ready or Not: Here Comes the Wedding Crasher (4:41) – This featurette is on the wedding crashing scene. Perry’s influence for putting this in the movie was Ferris Bueller’s Day Off. Bring the Funny (3:48) is some behind-the-scenes footage of her introduction in the film, with Tyler Perry allowing Tiffany Haddish to “cut loose”. Breakfast with Tiffany (11:12) – This is a round table discussion with Haddish, Sumpter, Hardwick and Amber Riley. “Something New from Tyler Perry” Perfume (0:31) commercial and “Catfished” Perfume with Outtakes (1:27). The film is presented with a 2.38 widescreen aspect ratio and a 1080p high-definition transfer and for the most part it’s a pleasant looking picture. The visuals, in keeping with some of the comedic elements, is bright, skin tones appear natural and detail is at the very least decently sharp. The DTS-HD Master Audio 5.1 track is surprisingly strong from Haddish’s yelling coming out of the center channel with clarity (not sure if that’s a good thing) while the depth is well done, including the soundtrack and score, most notably the Boys II Men song that plays during the (thankfully) final scene. Nothing overly profound compared with other newer releases, but still impressive enough all things considered. 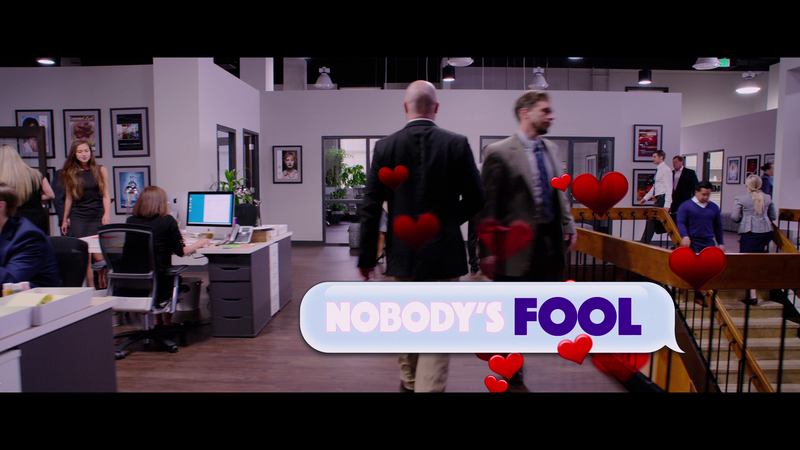 Overall, Nobody’s Fool is yet another reminder of why Tyler Perry isn’t exactly a good filmmaker. Personally, outside of his Madea personality/schtick, he actually isn’t a half bad actor. This film in particular has some poorly written characters, even unlikeable ones, and has a few plots stuffed into one movie. This Blu-ray offers up some okay selection of bonus features and good video/audio transfers.